Is It Time for Markets to Worry About Political Risk? Jens Nystedt is a senior portfolio manager and head of sovereign research on the Emerging Markets Debt team at Morgan Stanley Investment Management. Nearly 100 days into his term, President Trump faces a daunting array of international political challenges. Growing tensions between the United States and North Korea, U.S. missile attacks in Syria, and rising uncertainty in the Middle East now sit at the top of an extraordinary full presidential inbox. Meanwhile, this past weekend’s elections in France, though well received by markets, again raise questions about the future of the euro zone, and the post Brexit outlook for Europe more broadly. While the first year of a new U.S. administration often sees a spike in geopolitical tensions, there is an extraordinary sense of disorder to the global outlook at this time. Against this backdrop, financial markets have remained impressively resilient to political risk, bolstered by accommodative macroeconomic policies in the leading countries and confidence that the worst outcomes will be avoided. Despite some recent wobbles, U.S. equity markets have sustained a significant portion of their post-election gains, and markets globally have absorbed news of rising global tensions, electoral uncertainties, and the beginnings of a monetary policy tightening cycle in the United States. Such confidence is bolstered by historical evidence that we review below showing that, looking back over the entire post-war period, markets most of the time have bounced back quickly from political shocks. We highlight the role of a supportive economic and political framework in providing reassurance at critical times. But there are exceptions, and certainly the current environment has the capacity to generate lasting dislocations. Could this time be different, and could we be entering a period where markets react more sharply than in the past to rising political risks? When do financial markets react to geopolitical events? 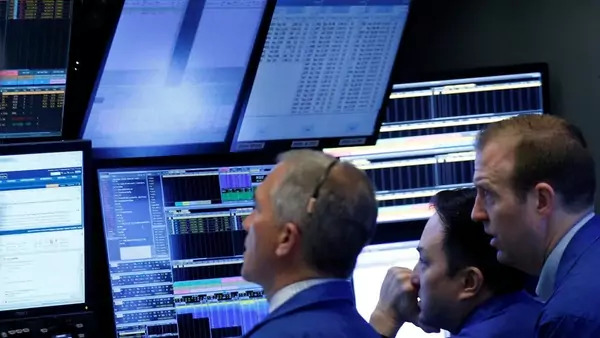 As a general observation, financial markets, especially the U.S. stock market, have tended to only temporarily react to geopolitical shocks and it has typically proven unwise to “sell” a shock after the fact. Recreating and updating a list of major “Shocks to the System” since the start of World War II by S&P Capital IQ and their impact on the S&P500, we note that your typical geopolitical event resulted in a median loss of 3.4 percent until the bottom was hit and the U.S. stock market recovered to pre-event levels within a median of five days. Hence, were you lucky enough to be short/underweight the U.S. stock market going into a surprise geopolitical event, these events have often been buying opportunities after the initial sell-off. This in our view reflects the market’s ability to see-through the event and remain focused on the overall economic health of the company, U.S. or global economy, and the pricing-in of the anticipated likely policy response, such as rate cuts (after the 9/11 attacks) or a surge in fiscal spending on military equipment. Consequently, it is useful to keep in mind that the market is conditioned towards “buying-the-dip” in present circumstances, which will only make the eventual sell-off larger if a new shock is large enough and the expected policy action doesn’t materialize. We could easily see a two-step sell-off in such a scenario. As the below table shows, even during recent crises, such as Russia’s invasion of Ukraine in 2014/15, U.S. stock markets either did not react or recovered fully between a day and two weeks. 1. The event needs to be a major geopolitical event or directly implicating the United States in a significant manner. This includes major wars or significant political events such as the Nixon resignation, which led to a re-assessment of the role of the U.S. role in the world. A longer lasting negative market reaction is more likely if multiple shocks occur simultaneously or if U.S. and/or global growth was weak to begin with. It’s worth emphasizing that these buffers work differently across countries. From this perspective, we have concerns about the capacity of some industrial country governments to respond quickly against the backdrop of rising nationalism and diminished fiscal space (and of soft-power institutions such as the G20 to reach consensus when coordination is needed), but take comfort that many (though not all) emerging markets are entering this period of turbulence in better shape than in the past, having built international reserves and otherwise strengthened macroeconomic policies in the recent decade or so. 3. Events that have a financial market impact, or a potential impact, on oil supplies score higher as well as events that could threaten important trade routes. The OPEC oil embargo had a very small market reaction initially (as shown in the table), but the First Gulf War had a more significant impact. Looking forward, an open question is whether the changing role of energy in the U.S. economy, and increased energy independence, tempers the force through which this channel operates. 4. Repeated events such as the Ukraine/Russia conflict (or events such as North Korean missile tests or increased Israel/Palestinian tensions – not in the table) have had a diminished impact on global financial markets over time. The market tends to become increasingly unaffected by repeat events, which may prove unwise in case repeated events are a precursor to a bigger shock. What are the risks that foreign policy experts worry most about? Each year, CFR’s Center for Preventive Action carries out a survey, and their most recent Preventive Priorities Survey (PPS) identified seven ‘top tier’ risks that makes for fascinating reading in terms of what are among expert’s top international concerns for 2017. Among the top concerns were: (i) A military confrontation between NATO and Russia; (ii) A crisis in North Korea, as might follow an ICBM test launch; (iii) A highly disruptive cyberattack on U.S. critical infrastructure; and (iv) a mass casualty terrorist attack. Moreover, the repeated nature of the PPS flags not only what is on the current year’s list, but also what risks were downgraded, such as the political implication of the European refugee crisis (which may be too early given the E.U.’s political calendar this year). Drawing on the historical experience provides a guide to how markets might react, recognizing the extraordinary uncertainty that each of these scenarios present. Each of these events have the potential to cause a material disruption to U.S. markets. Given today’s globalized, integrated financial markets, a conflict with Russia could lead to a ‘severe flight to safety’ into the U.S. dollar, a spike in oil, a sharp decline in the euro, even with quick coordinated monetary policy action to cut already very low rates and intervention to support the Euro. We suspect that renewed Quantitative Easing, or QE, is unlikely to provide substantial support. The other risks identified may be more difficult to quantify, and drawing lessons from the past is more challenging, but each have the potential to provide broad and long-lasting disruptions to the global economy. A highly disruptive cyberattack on the United States, for example, especially if targeting the financial system and going beyond a single company, is likely to have major financial market repercussions. This is uncharted territory for global markets, though the closest analog is probably the Lehman crisis due to its unforeseen nature and that it affected the core of the payments infrastructure for the U.S. and globally. Spillovers and contagion would be significant, but again policy could ameliorate some of the negative consequences. A negative market reaction is likely to persist if investors are concerned about a new U.S. administration facing its perhaps first geopolitical test. However, if a war develops in the Koreas, this would no doubt be a major financial market event. To add a widely discussed scenario in the market, tension between China and the United States, or between China and Japan, that result in military action would have a major market impact, especially given the Trump administration’s anti-China focus, the interruption to key global trade routes, and the uncertainty regarding the new administration’s reaction function. What are the risks the markets are the most worried about and are they pricing these in? The new administration has moved quickly to reduce negative geopolitical tail risks vis-à-vis China (re-affirming the one-China policy and choosing not to cite China as a currency manipulator) and reversing course on its earlier criticism of NATO. Market spreads in Korea and in the Baltics, where market anxieties would be expected in prices first, have remained contained. Even in France, spreads rose in advance of the election but not commiserate to the odds of an anti-EU result as reflected in recent polling. Hence, it is hard to identify a material risk premium in markets attached to policies of the new U.S. administration or to the risk that broader anti-globalization pressures lead to material conflict on trade or financial issues. So far it has if anything been quite the opposite. Looking at Russian assets, given the recovery in oil prices and the election of Trump, Russian financial market assets, foreign exchange, interest rates, and equities have all rallied on better fundamental news and in the hope of an eventual reduction in sanctions. In summary, financial markets, as exemplified by the U.S. stock market, react typically only to a limited extent to typical geopolitical events, and are unlikely to move significantly ahead of events on rising tensions. If there is a negative reaction in the U.S. stock market it is typically very quick, but the recovery often is quick too, especially if there is convincing compensatory policy action. Market confidence in policy action is crucial, particularly in the major countries to reduce the systemic consequences and provide reassurance about prospects for global markets. If this confidence is lost, we could be entering a more uncertain period for markets and for the global economy. The views and opinions are subject to change at any time due to market or economic conditions and may not necessarily come to pass. The views expressed do not reflect the opinions of all investment personnel at Morgan Stanley Investment Management (MSIM) or the views of the firm as a whole, and may not be reflected in all the strategies and products that the Firm offers. France After the Election: What Next for Economic Policy in Europe?